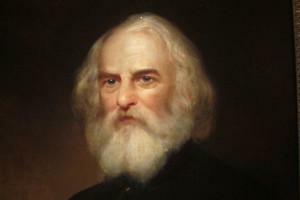 Henry Wadsworth Longfellow was filled with sorrow at the tragic death of his wife in a fire in 1861. The Civil War broke out that same year, and it seemed this was an additional punishment. Two years later, Longfellow was again saddened to hear his own son had been seriously wounded as a lieutenant in the Army of the Potomac. At this Christmas time whether you are in sorrow or in joy you can know that God is not dead, nor doth He sleep. He knows your every need and longs to comfort you and be that special One you need. Seek Him this year instead of the outward manifestations of the season. He will give life real meaning and your heart real peace - the peace that passes all understanding.